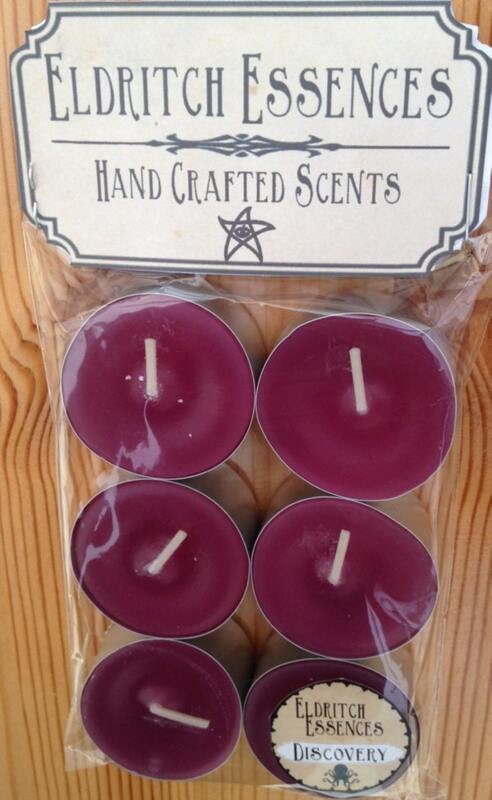 Perfect as a gift, Eldritch Essences Tea Light candles are hand made in Yorkshire and created in a variety of scents designed to excite and entice! "I say this because from first to last our discoveries partook only of the nature of sensations; sensations correlated with no impression which the nervous system of normal humanity is capable of receiving. They were sensations, yet within them lay unbelievable elements of time and space — things which at bottom possess no distinct and definite existence." -Designed to help you relax and lose yourself to time and space.